Based in Manchester, Helen’s background was originally in theatre, before becoming a marketing consultant in 1999, then creating Palmer Squared Marketing & Audience Development Agency in 2005 with her twin brother Andrew. Helen has been part of the founding management teams of Manchester International Festival, British Ceramics Biennial, Cultureshock (Commonwealth Games Cultural Programme, Manchester 2002), Asia Triennial Manchester and The Lowry. 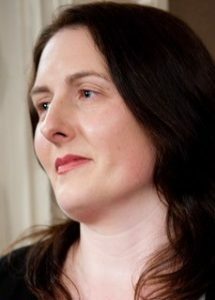 From 2007-9 Helen led Marketing Manchester’s Marketing Coordination Unit as the Director of Strategic Marketing. Helen is also a Director of Creative Tourist (cultural tourism communications agency) that provides strategic advice and tactical support for cultural tourism initiatives across the UK and internationally. Creative Tourist is working with Marketing Manchester to deliver Manchester’s Cultural Destinations programme and is working with the majority of Cultural Destinations consortia across England. Helen is also studying part-time for a PhD in Film Studies at the University of Warwick.